A reception will be held from 1-3 p.m. Saturday, Sept. 8, in Boulder City Art Guild’s gallery to honor Linda Shaffer, a Southern Nevada artist whose prints and jewelry are on display this month. An award-winning artist, Shaffer works in a variety of mediums including acrylic paint, watercolor, mixed media, calligraphy, printmaking and jewelry. She is a graduate of the Gemological Institute of America’s graduate jeweler program and a founder of the Fabulous Las Vegas Scribes Calligraphy Society. Her exhibit, “Journeys,” is inspired by nature and travel. The gallery is open from 10 a.m. to 4 p.m. Monday through Saturday and from 10 a.m. to 3 p.m. Sunday. Admission is free. The gallery is inside the Boulder Dam Hotel, 1305 Arizona St.
For more information, visit www.bouldercityartguild.com. ■ Snack and Chat, 10 p.m. today, Sept. 6, in the board room. ■ STEAM Exploration club, 10 a.m. today, Sept. 6, in the community room. For those 0-5 and their caregivers. ■ Little Books and Little Cooks, 1 p.m. today, Sept. 6, in the community room. For those 0-5 and their caregivers. Class size is limited; advance registration in the youth department required. ■ Lego challenge, 3:30 p.m. today, Sept. 6, in the community room. For those 6 and older. ■ Drop-in story time, 10 a.m. Friday, Sept. 7, in the board room. For those 0-5 and their caregivers. ■ Kids craft and play, 10 a.m. and 3:30 p.m. Monday, Sept. 10, in the board room. For those 0-5 and their caregivers. ■ STEAM Exploration club, 1 p.m. Monday, Sept. 10, in the board room. For those 0-5 and their caregivers. ■ Drop-in coding, 6 p.m. Monday, Sept. 10, in the community room. For those in kindergarten through 12th grade. ■ Baby lap-sit storytime, 10 a.m. Tuesday, Sept. 11, in the board room. For those 0-24 months old and their caregivers. ■ Crochet for a cause, 2:30 p.m. Tuesday, Sept. 11, in the community room. Learn how to crochet a sleeping mat for the homeless out of plastic bags. For those 12 and older. ■ Virtual reality lab, 2:30 p.m. Tuesday, Sept. 11, in the board room. For those 13 and older. ■ Toddler story time, 10 a.m. Wednesday, Sept. 12, in the board room. For children 2-3 years old. ■ Chess club, 4 p.m. Wednesday, Sept. 12, in the community room. ■ Ranger chat, “Public Lands: Treasures of Southern Nevada,” 11:30 a.m. and 1 p.m. Saturday, Sept. 8, at the Alan Bible Visitor Center, 10 Lakeshore Road. Learn about the variety of public lands that surround the area. ■ Ranger program, “Star Party: Chasing the Stars,” 7 p.m. Saturday, Sept. 15, at the Boulder Beach amphitheater. Join rangers and the Las Vegas Astronomical Society to learn about the night sky and discuss celestial features. Telescope viewing of constellations and planets will be available from 7:30-10 p.m. Reservations requested. For additional information or to make reservations, call 702-293-8990. Anew Women’s Network will resume regular meetings at 1:30 p.m. Saturday, Sept. 8, in the community room at the Boulder City Library, 701 Adams Blvd. The support group for widows will celebrate its fifth anniversary. 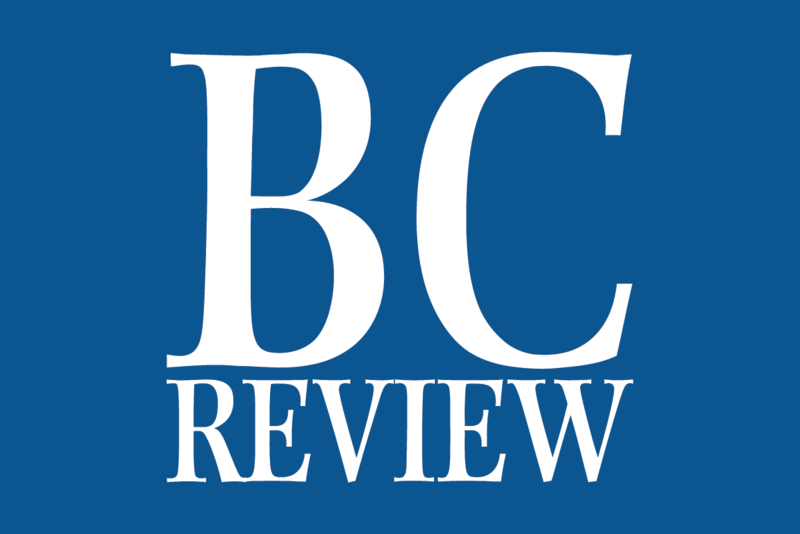 Members of the Boulder City Republican Women will gather for a luncheon meeting Thursday, Sept. 20, at Railroad Pass, 2800 S. Boulder Highway, Henderson. Guest speakers will be Joan McCarthy, who will speak about Constitution booklets for students; Lynda Tache, political director for Marsy’s Law for Nevada; and Secretary of State Barbara Cegavske, who will speak about automatic voter registration. Doors will open at 11 a.m. and the program will begin at 11:45. Cost of the luncheon is $22. Reservations are required and must be made by Thursday, Sept. 13. For reservations, call 702-393-1228 or email bcgop@yahoo.com. The Grace Community Church Women’s Association will have a kickoff luncheon at 11:30 a.m. Wednesday, Sept. 12, at the church, 1150 Wyoming St. Those attending are asked to bring a salad or dessert to share. The guest speaker will be Sky McClain from the Alan Bible Visitor Center at Lake Mead National Recreation Area, who will talk about desert animals and bring items to display. The Boulder City Chapter of the Retired Public Employees of Nevada will hold its monthly meeting at 11 a.m. Thursday, Sept. 13, at The Homestead at Boulder City, 1401 Medical Park Drive. After the meeting, members will go to an area restaurant for a no-host lunch. For more information, contact Bernard at bernardpaolini@cox.net or call 702-294-0636. A community blood drive will be held from 1-7 p.m. Thursday, Sept. 13, in the gymnasium at The Church of Jesus Christ of Latter-day Saints chapel, 916 Fifth St.
All donors will receive two admission tickets to the Shriners Hospitals for Children Open golf tournament to be held Oct. 31 through Nov. 4 at TPC Summerlin. To schedule an appointment or receive more information, visit www.bloodhero.com and enter the code bouldercity or call Lee McDonald at 702-795-8335. Members of the Boulder City Democratic Club will hear from two candidates on the November ballot at their next meeting, scheduled for 6:30 p.m. Thursday, Sept. 13, at the Boulder City Library, 701 Adams Blvd. Guest speakers will be Judge Mark Bailus, who is running for re-election to the nonpartisan Eighth Judicial District Court, and Susie Lee, who is running to represent the 3rd Congressional District of Nevada in the House of Representatives. 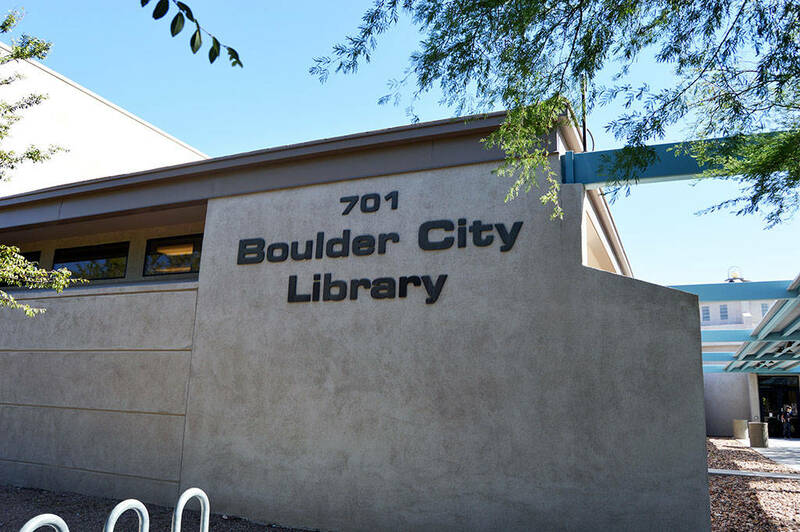 Boulder City Library will host a fair featuring local authors from 1-3 p.m. Saturday, Sept. 15. Participants are expected to share their experiences regarding writing, illustrating, publishing and audio narrating books, as well as working with an agent. They also will answer questions. Among those expected to participate are Brad Appleby, who illustrated his goddaughter’s book; Jenny Ballif, who has written two “Science Mom” activity guides; Gayle Carlton, who has narrated a children’s bedtime book; Lynn Goya, who has co-authored travel guide books; Joyce Lewis, who wrote a personal narrative about her faith; Dale Napier, who has written fiction and nonfiction books; Amanda Skenandore, who recently debuted a historical fiction novel; and Angela Thompson Smith, who has written about her professional experiences. Many of their works are featured in the library’s local author section. Admission is free and authors are expected to have copies of their books available for purchase. The fair will be held in the community room of the library, 701 Adams Blvd. The American Association of University Women, Boulder City Branch, will hold its semiannual chocolate and wine tasting fundraiser from 6-9 p.m. Saturday, Sept. 15, on the patio at the Boulder Dam Hotel, 1305 Arizona St. Souvenir glasses are $10 and serve as the ticket for the event. The American Association of University Women, Boulder City Branch, will meet at 6 p.m. Monday, Sept. 10, in the museum meeting room at the Boulder Dam Hotel, 1305 Arizona St.
Lisa LaPlante, the city’s communication manager, will be the guest speaker. LaPlante spent 20 years as a television news reporter before joining the communications and marketing department for Kent County Health Department in Michigan and serving as community liaison and communications director for Kent County. A sock hop is planned from 2-4 p.m. Sept. 30 at the Elaine K. Smith Building, 700 Wyoming St. It is sponsored by Boulder City United Methodist Church. Entertainment will be provided by Willie Ray, a James Brown impersonator. Festivities also will include contests, door prizes and refreshments. Costumes from the 1950s are optional. Tickets are $10 in advance and $15 at the door. They can be purchased from 10 a.m. to 2 p.m. Fridays Sept. 14 and 28 in front of the Boulder Dam Credit Union, 530 Avenue G, or from 9:45-11:15 a.m. Sundays at the Smith Building when the church meets.